Monsters watch out! Dean's on the case, and he's ready to take any baddie out. You don't mess with the Winchesters. 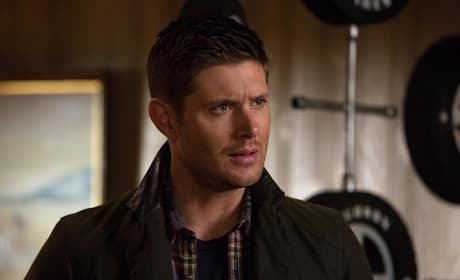 What type of creature or monster is Dean facing off with? It must be a scary one. Let's hope Dean can take it out! Sam's got the computer again. That's more like it. But it seems as if whatever case they are working must be serious business. There's no smiles or jokes to be found. 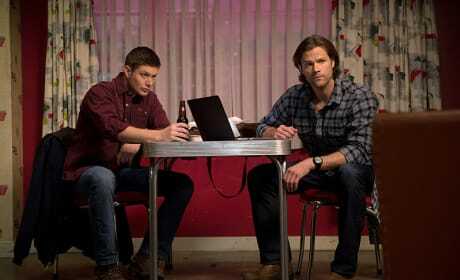 Sam and Dean working together means getting the case done. Though, Sam not using the computer for research is a change. Maybe, he's just taking a break. 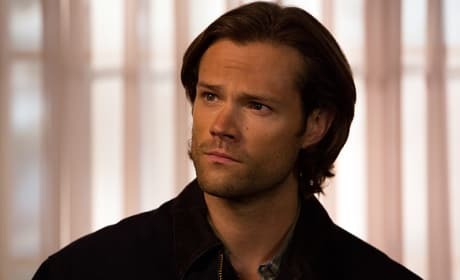 Sam Winchester is staring off, and he must be thinking about the Darkness. Or maybe he's wondering if his hair looks good right now. Either way, enjoy. 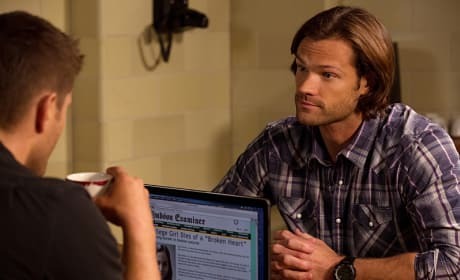 Before facing off against a monster of the week, Sam needs to get all the info he can. Let's hope this girl brought some snacks because it looks like it's going to be a long story. Is there pie in that bag? A monster head? 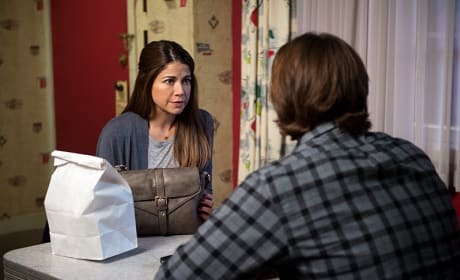 This girl must be coming to Sam and Dean for help with some supernatural incident, and the brothers will be sure to get things done. Something supernatural is killing people. 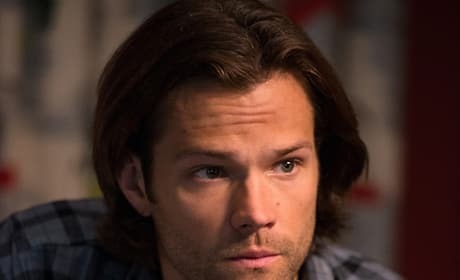 But what did Sam find out when chatting with the medical examiner? Does she know the secret? 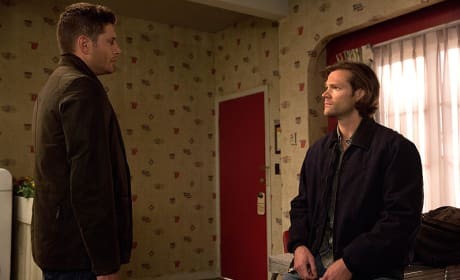 Dean looks surprised, but what did Sam say to him? Did he just insult one of his favorite bands? Or maybe he offered up a really risky move to face off against the Darkness. 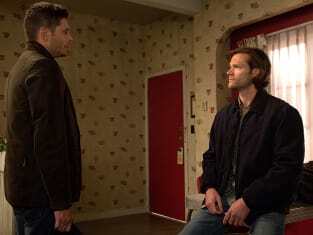 Sam and Dean facing off with the supernatural on Valentine's Day? 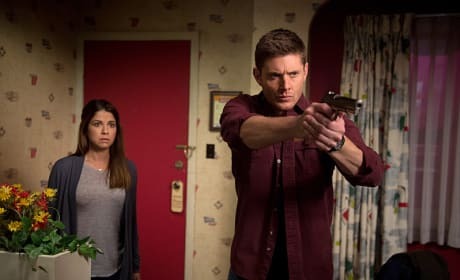 Does that mean Dean is finally going to tell his brother about his connection to the Darkness? That must be why Sam is sitting for his conversation. Permalink: What's a dad bod? Woman: What kind of FBI agents are you?! 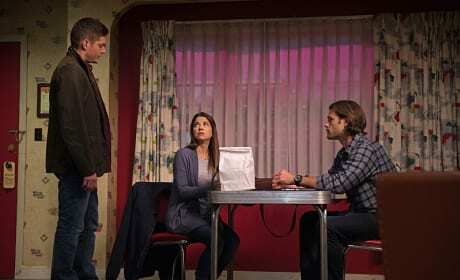 Supernatural Round Table: Rock, Paper or Scissors?